We had mixed feelings when we reviewed Lenovo's 15in ThinkPad Edge earlier in the year, but the system's design philosophy showed potential and we couldn't help but wonder; wouldn't the Edge be great as an ultra-portable? We're about to find out, as Lenovo has expanded the ThinkPad Edge line to include a new smaller sibling, the ThinkPad Edge 11. 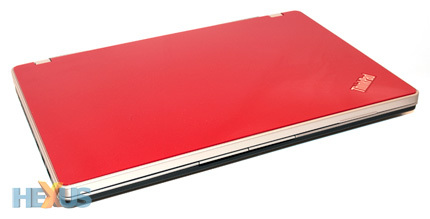 Available with a choice of Intel Core i3, Core i5 or AMD Athlon Neo processors, the slim machine touts the portability of a netbook and the sophistication of a ThinkPad. With prices starting at £420, it's one of the most desirable mobile-business notebooks on the market. 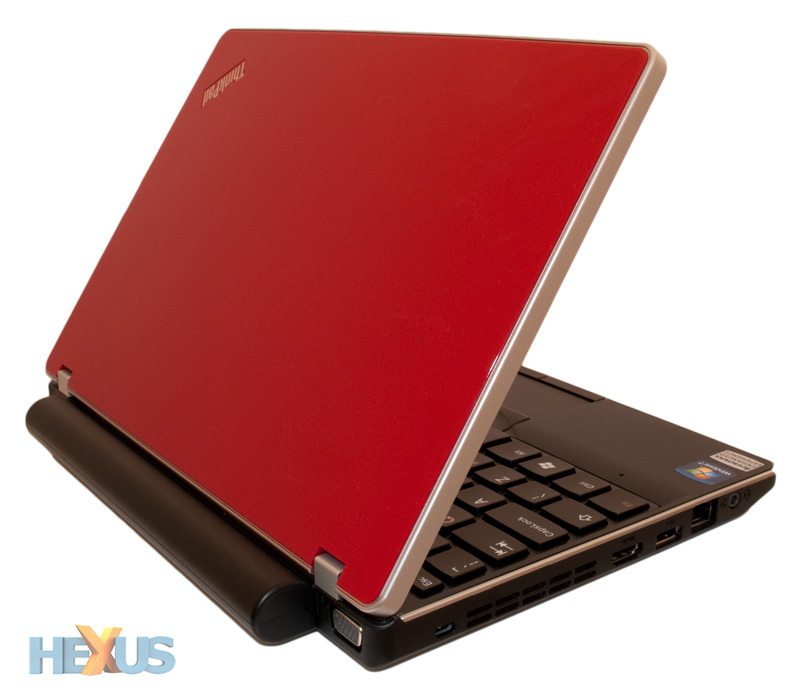 In keeping with all models in the Edge line up, Lenovo's new 11in variant is designed to look modern, cool, and quite simply more up-to-date than ThinkPads of old. On an 11in chassis, the design works wonders. Unlike the 15in model - which we found to be bulky and largely unattractive - the smaller machine is able to amalgamate the glossy lid, the silver trim and rounded corners in a neat little package that's very attractive. Our review sample came finished in glossy red - glossy/matte black are available if you prefer something a little more subtle - and it certainly helps the Edge stand out in a crowd. The machine is suitably sleek at a fraction over an inch thick, and at 1.5kg in weight, it's nice and light, too. 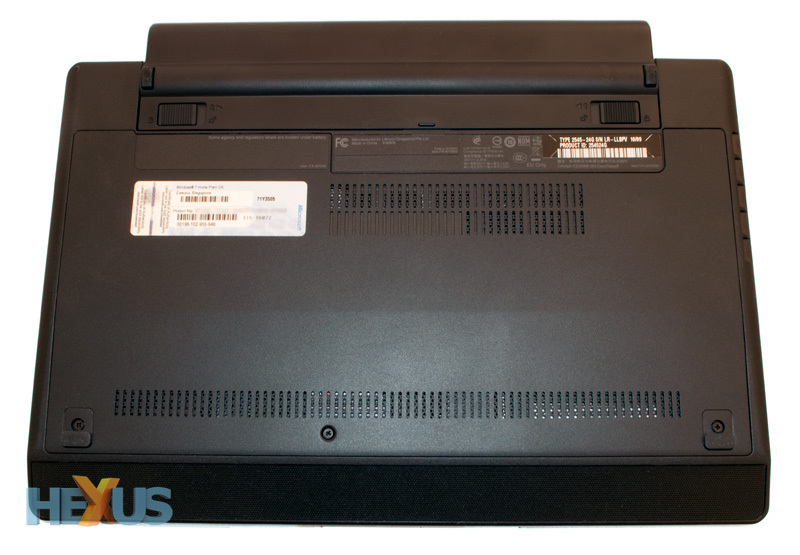 Aesthetically speaking, it's close to being one of the best-looking 11.6in notebooks available - but there's a catch. Lenovo hasn't been able to fully incorporate the six-cell battery, and it makes the Edge 11's rear end stick out by a further 22mm. It detracts from the overall finish, but it isn't a deal breaker - this is still a lovely-looking machine. And it isn't just pretty, either. As you'd expect from a notebook carrying the ThinkPad name, the Edge 11 feels reassuringly robust. Unlike many other ultra-portables, the notebook is notably sturdy - there's barely a hint of flex in the main body and the metal display hinges are fittingly rigid. 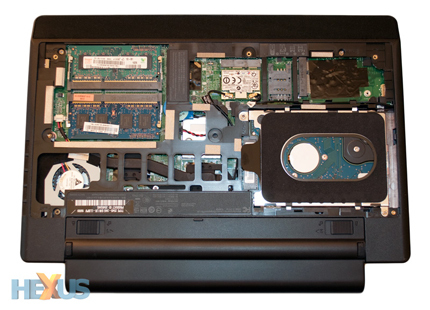 Build quality is very good, and in many ways the ThinkPad Edge 11 feels just right. It's small but not overly cramped, it's light but not flimsy, and it's eye-catching without coming across as gaudy. In a weird sort of way, the thin frame coupled with the combination of glossy red and ThinkPad black gives it nostalgic look with a modern twist. We quite like it. ThinkPad Edge notebooks have always targeted business users on a budget, but the Edge 11 doesn't sacrifice performance in favour of competitive pricing. 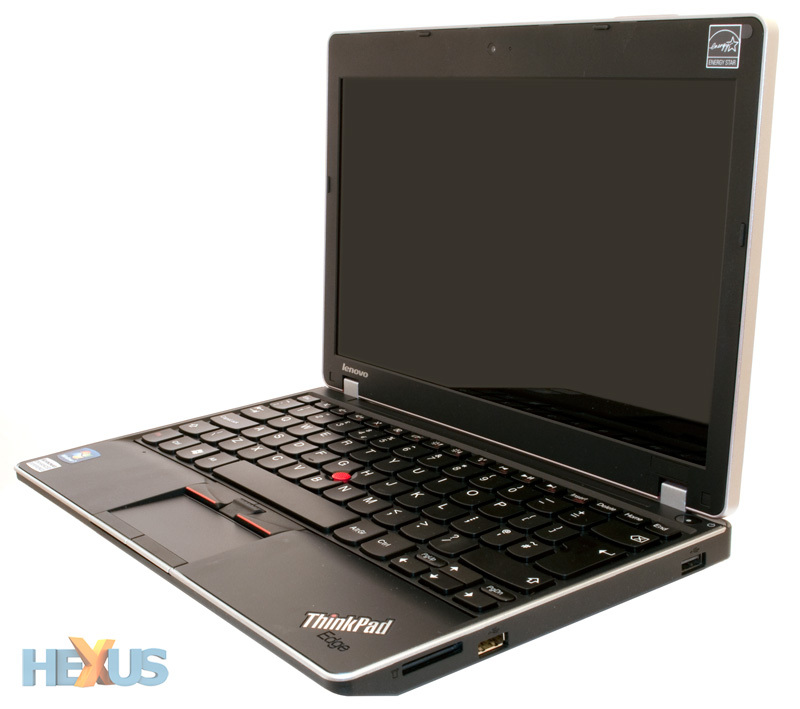 Instead, Lenovo has opted to provide a choice of configurations based on the latest Core i3 or Core i5 processors from Intel, or the Athlon 2 Neo line from AMD. Our £530 review sample arrived with the latter, and it's packing a useful blend of components. 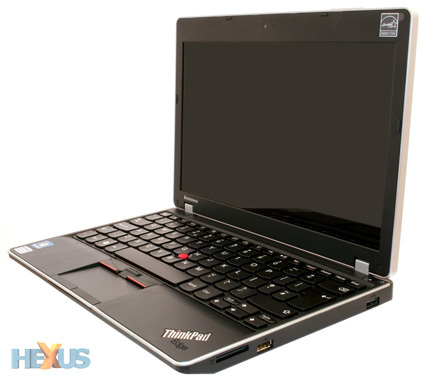 The pictured configuration - model number 254524G - features a 1.3GHz dual-core AMD Athlon 2 Neo K325 processor, 4GB (2x2GB) of DDR3 memory and integrated AMD Mobility Radeon HD 4225 graphics - all key ingredients of AMD's 2010 Nile platform. The 11.6in glossy display provides a handy 1,366x768 resolution, and a 320GB hard disk provides ample storage for most users. Padding out the feature list are three USB 2.0 ports (one of which offers standby power), VGA and HDMI outputs, an audio jack, a four-in-one card reader and a low-light webcam. Network connections include Gigabit Ethernet, Bluetooth and Wireless N.
It's a modestly-equipped machine, but it's user-serviceable, too. Undo a few simple screws at the back, and you get full access to the notebook's innards for quick upgrades to RAM to storage.